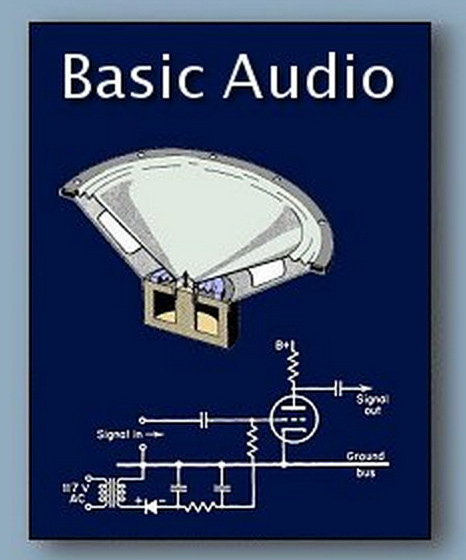 Easy Reading “Basic Audio” – Norman Crowhurst (1959). Easy Reading – Great Stuff … Basic Audio by Norman Crowhurst. This edition of the eBook “Basic Audio” is based on the printed copy of Norman Crowhurst’s three volume book “Basic Audio” published in 1959. As the copyright of this book has not been renewed in 1964 it has fallen into public domain (click here for more information on copyright renewal). Although some of the topics covered in this book may seem to be outdated we included it into the VIAS ebook collection simply for its clear discussion of basic principles. Thus we took the three books, converted them to HTML and compiled them into an introduction to audio physics and electronics, providing additional features such as links between the pages, an index, and a hierarchical table of contents. At this point we want to thank Pete Millet who is enthusiastic about electronics and who provided an extraordinary contribution to the electronics community by providing many old books as scanned pages. See his home page for more. Finally, we decided to additionally publish this eBook as an MS Windows HTMLHelp file offering the same navigation structure as the Web-based version.